An Evening with the Former First Lady! It was our honor to be asked to design a community pavilion with Laura Bush's namesake. 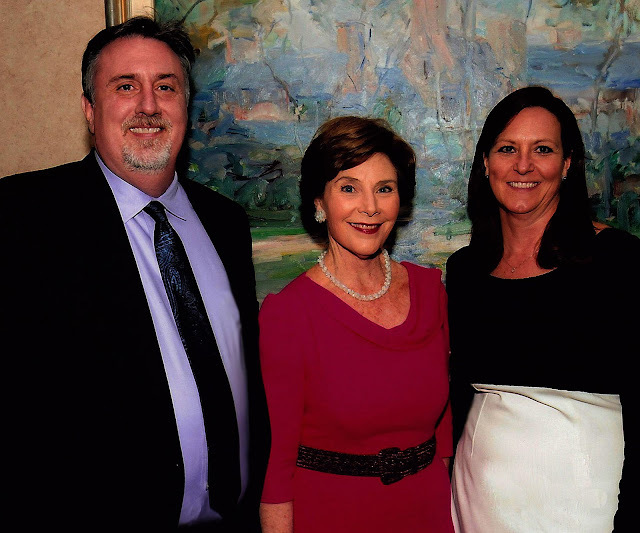 Bob and his wife, Glenda, were invited to attend a dinner with the lovely former First Lady in celebration of the project. What a classy bunch!